We are heading into the final days of Election 2008. Soon the campaigns will be over, and we will be stuck with the outcome. Is my poor, pitiful blog changing any minds? I do not know; I certainly do not have people lining up to tell me that they are are going to vote for John McCain, Jim Gilmore, or Keith Fimian because of me. And that is probably just as well. I am not sure how well I would handle it if people did start doing such a thing. Like most people, my ego is too susceptible to flattery. Nevertheless, I have been please to see that my little website has gotten quite a few hits here of late. Is that true of most other political blogs as well? Probably. So I am not worrying much about it, but I still wonder. Unfortunately, life throws curves at us. So I was both delighted and mildly annoyed when I was called away to deal with family matters, the birth of a grandchild. With the birth of a grandchild, I have been given hope for the future. At the same time, with such a strange election year and faltering economy, I wonder what the future holds for my dear little grandchild. Even though it is the greatest relief to know her future is in God’s Hands, I still wish I could change a few votes. When I look at how my fellow citizens vote, I wonder what they are thinking. Instead of voting to protect their rights, too many seem so willing to vote for privileges at the expense of their fellow citizens. Why such foolhardy behavior! I assume the answer is ignorance, perhaps willful ignorance (see here). Am I being arrogant in my presumption? No. The evidence stands prominently before us all. We call it such things as tax loopholes, entitlements and welfare. But why do people vote for this nonsense? I suspect the problem has something to do with the source of our news. We are depending upon the professional news media to “educate” us in preparation for this election. 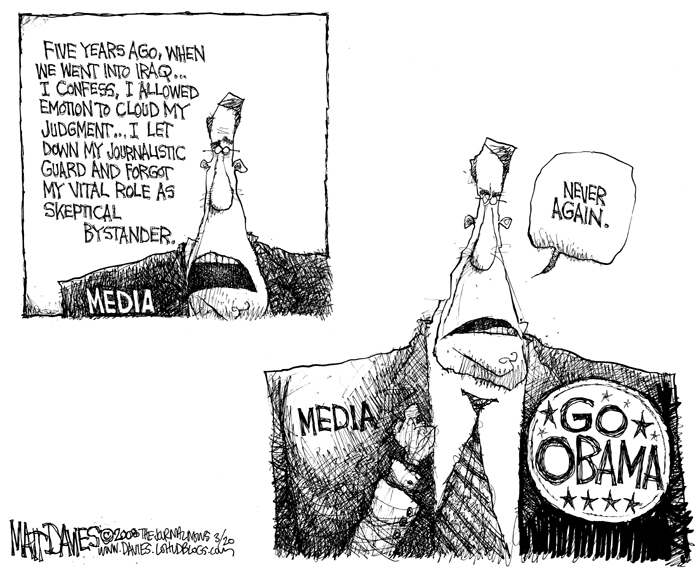 For the most part, the professional news media competes to present itself as objective and unbiased. This claim is blatantly absurd. Why isn’t this claim challenged by all of us? Is any of us unbiased? When any of us carefully considers an issue, particularly an issue on which we are suppose to become an expert, don’t we form an opinion? If how people deal with an issue affects us personally, would we not be expected to have a strong bias? Would we expect people to take us seriously if we claimed to be unbiased and objective? Conceivably, we could seriously argue that we give fair and balanced reports. However, the simple truth is that each and every citizen has an interest in the outcome of this election. 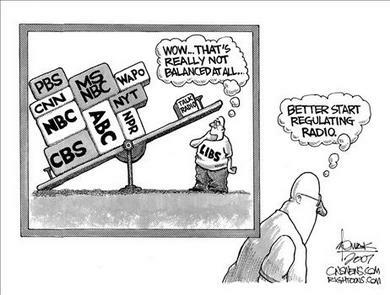 No one can be trusted to give fair, balanced, objective, or unbiased reports. Certainly any news organization or reporter that claims to be impartial is lying. Just the same, for decades we have had prominent and supposedly respected news organizations making the claim that they provide objective and unbiased news reports, and much of the public has accepted this patently absurd claim. Consider the worse case. Consider the preposterous way the Public Broadcasting System (PBS) advertises itself. Why do you think one PBS show calls itself Independent Lens, for example? Yet this network receives nearly half of its funding from government sources (See here and note that the Corporation For Public Broadcasting is itself federally funded.). So there no possible way PBS could have anything approaching an unbiased interest in the outcome of Election 2008. My point? In your own defense you must assume each news source is biased. 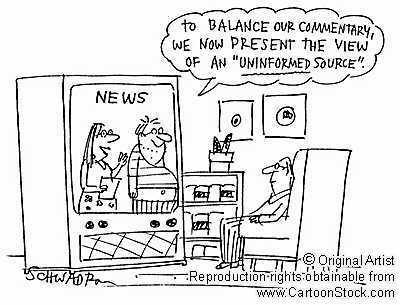 You must do your homework and find out just how your favorite news sources are misleading you. Otherwise, your vote belongs to someone else, the news organization you listen to. WHERE IS THE HONEST STORY? treddingtheunfamiliar – Thanks for the compliment and for visiting. Just in case you care, I write about this on my blog, politicallyobjective.wordpress.com. Thanks for the good read and funny cartoons. Really nicely written blog. I don’t believe anyone is objective, I don’t think the word exists other than to explain what doesn’t exist! 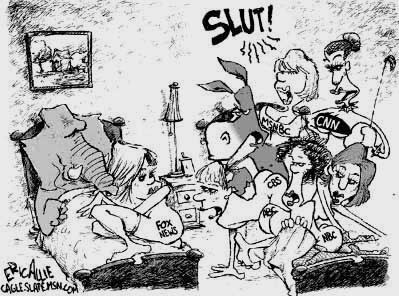 We are all inherently born with biases and whether journalists like it or not, it is becoming painfully obvious which side the media is on.